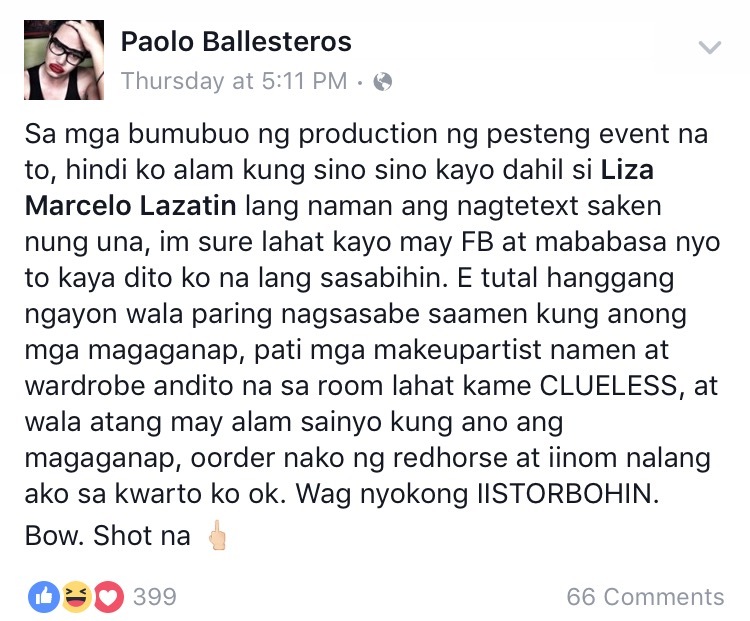 Paolo Ballesteros suspended on Eat Bulaga over Facebook rant? Home News Paolo Ballesteros suspended on Eat Bulaga over Facebook rant? Did Eat Bulaga suspend Paolo Ballesteros due to his recent Facebook rant versus event production staff? Rumor has it that Paolo Ballesteros has been suspended from GMA-7 noontime show Eat Bulaga as a result of his Facebook rant against the production staff “who did not take care of him” in an event held in Subic. Excuse me, production people, your main hosts are already in the hotel. There’s no one here to take care of our needs and we even had to fix our own bed. The hotel even asked for our IDs. Because until now, we have not been briefed what would happen, even our makeup artist and wardrobe stylist in the room are clueless, and because you also seem not to know anything, I will just order beer and drink in my room. Do not disturb me. It was reported that Ballesteros was set to host one of the event at the Ad Summit Pilipinas 2016 in Subic. Paolo has been absent on Eat Bulaga since March 11. Paolo Ballesteros has not make any comment yet about the issue. Tape Inc. also kept mum about the suspension rumor of Paolo Ballesteros on Eat Bulaga. What do you think of this report? 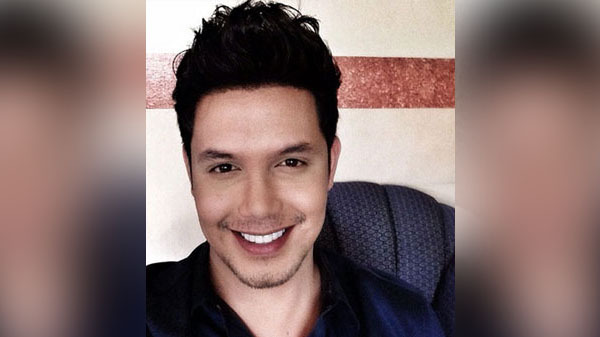 Is Paolo Ballesteros really suspended from Eat Bulaga? Share your views and comments on the discussion box below.